After all, The Surf City All-Stars (and Philip Bardowell in particular) COMPLETELY blew us away when we saw them in concert a few years ago. Acting primarily as Dean Torrence's back-up band that night (but still showing some pretty impressive chops of their own ... there is a very clear and definite love of this material), the guys put on one heck of a show ... and, in fact, we were fortunate enough to talk to a couple of them afterwards. 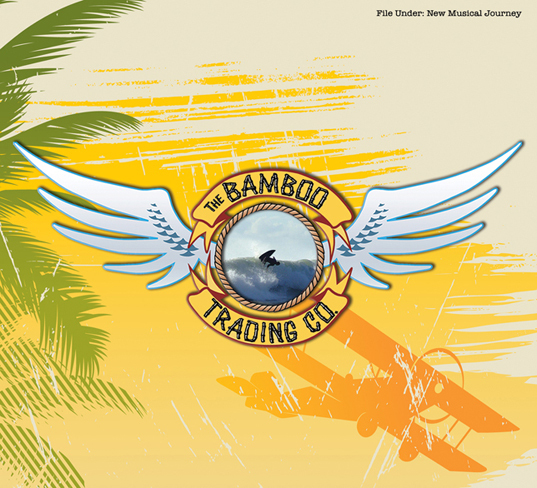 For this brand new project (being released as The Bamboo Trading Company), they've selected "Endless Summer Quarterly" Publisher David Beard to help by both co-writing the majority of the tracks as well as co-producing the entire cd. And Gary Griffin, Matt Jardine, Randall Kirsch and Philip Bardowell are all on hand as well, along with indie artists Chris English and Miami Dan Yoe. 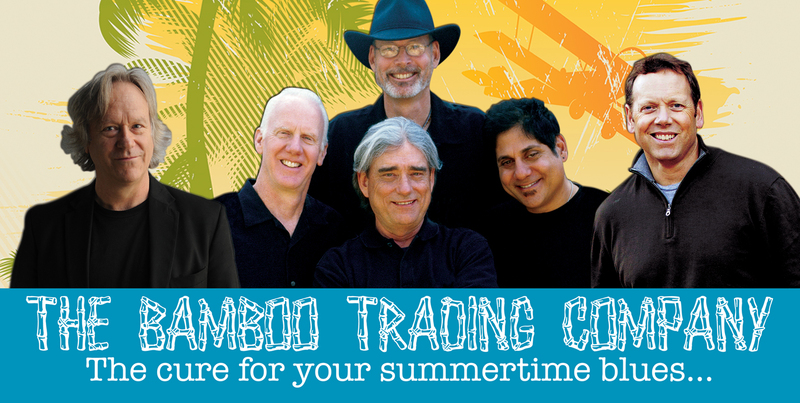 Each of these guys has paid their dues, cut their teeth ... and gotten their feet wet playing with the likes of The Beach Boys Band, The Jan and Dean Band and The Surf City All-Stars. Repeated listenings will keep any number of these tunes spinning in your head. They're all brilliantly executed and stay true to the very essence of what we fell in love with as The Beach Boys' sound matured in the mid-to-late '60's. My personal favorite tracks include "Drinkin' In The Sunshine", "Star Of The Beach","Shrewd Awakening" and "Tonga Hut" ... but all of the tracks master the fine line of maintaining both a fresh and vintage sound to them. The band holds very true to their surfin' roots throughout. A bonus treat includes Dean Torrence on lead vocals on the contemporary track "Tweet (Don't Talk Anymore)". David Beard tells us that "Tweet" is the very first complete recording that Dean has performed on since 1967's "Save For A Rainy Day", recorded for a Jan and Dean album. (Dean made a "guest" appearance on The Laughing Gravy's cover version of "Vegetables" in 1968 and did a "Wild Thing" remake with Mike Love for the Rock And Roll City album. Finally, in 1985 he cut "Sunny Afternoon" for the Jan and Dean "Silver Summer" LP.) But this is is first full-blown appearance as LEAD VOCALIST on a commercially released track in nearly 46 years!!! So it's a bit of history in the making" with this one! As for the other tracks, "Kitty Hawk" is one of those that will grow on you ... as is "Don't Say It's Over". The more I listen, the more I like! These guys even have their own theme song! However, after listening to "Jericho", I'd be willing to bet the ranch that these guys must have enjoyed Fastball's "The Way" nearly as much as I did ... in fact, it's absolutely one of my ten favorite songs of the past twenty years. BTC does what can only be called a "reworking" of that melody into a still-pleasing-sounding track. Nothing obnoxious, mind you ... it's still a great tune ... but a simple nod to its musical inspiration (or perhaps even a co-writing credit for the melody) might have been nice. Other surprises? You'll find David Marks lending both his guitar work and vocals to "Star Of The Beach" ... his guitar is also present on "Jericho". Here’s another Forgotten Hits exclusive premiere! It’s the latest from Freddy “Boom Boom” Cannon. This song will be available later this month on iTunes and released as a 7 inch vinyl single. Freddy is gearing up for an active year on the road. 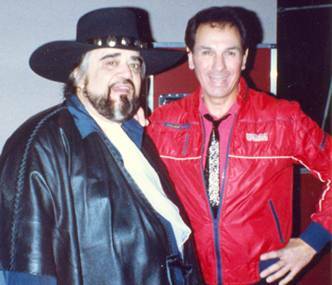 Here's a vintage shot of Freddy with Wolfman Jack! London, UK - Music collectors across the planet are clamoring about the release of the rare out-of-print psychedelic debut album by avant-garde music artist ANT-BEE titled 'Pure Electric Honey' on CD for the first time by Gonzo MultiMedia UK! Possibly one of the most unusual acts to emerge from the US in the early 1990's, ANT-BEE's music defies categorization, yet acts like Syd Barrett's Pink Floyd, Smile-era Beach Boys, The Mothers and Sgt. Pepper era Beatles immediately spring to mind upon listening. At the time of release many thought the album was an unearthed lost gem from the 1960s, while others didn't know what to think. Through a series of musical experiments in the recording studio back in 1987 in Los Angeles, ANT-BEE was born! In 1988, ANT-BEE was signed to Los Angeles record company Voxx / Bomp Records. The first Ant-Bee album 'Pure Electric Honey' garnered rave reviews worldwide, propelling ANT-BEE to overnight legend status in the European underground. The album also featured guest performances by Bob Harris (Frank Zappa) and Rick Snyder (Captain Beefheart). In support of 'Pure Electric Honey', ANT-BEE filmed a series of videos ("Here We Go Round The Lemon Tree" and “The Girl With The Stars In Her Hair”) which were viewed in Los Angeles, Japan and Canada. Also during this period ANT-BEE recorded a cover version of the Beach Boy's "Do You Like Worms?" from the legendary aborted 'Smile' sessions. Oddly through a bizarre turn of events the ANT-BEE cover version of the song was mistakenly played on a Beach Boys radio show as a rare Beach Boys demo. In turn the track was released on several elaborate European Beach Boys bootlegs as an unreleased outtake from 1966! 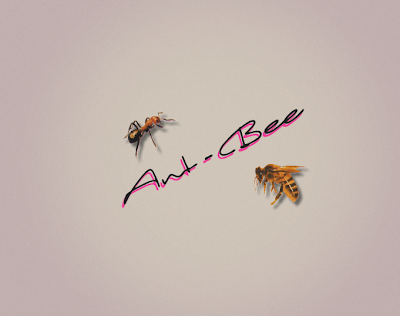 ANT-BEE would go on to release several more critically acclaimed albums in the '90s and 2000's that would feature guest appearances by original members of the Mothers of Invention, ex-Capt. Beefheart's Magic Band members, original members of the Alice Cooper group, Daevid Allen and Gilli Smyth of GONG, Peter Banks, Jan Akkerman and many other notable music artists. GONZO MultiMedia will be re-releasing ANT-BEE's back catalog, as well as the unreleased 'Child Of The Moon' EP, featuring Michael Bruce of the Alice Cooper group and artwork by Daevid Allen. New York, NY (April 15, 2013)—EAGLE ROCK ENTERTAINMENT and the Zappa Family Trust are pleased to announce the first official release of A TOKEN OF HIS EXTREME, an original program created by FRANK ZAPPA for TV [Pre-book Order Date May 10, MSRP $14.98]. Recorded on August 27, 1974 at KCET in Hollywood, A TOKEN OF HIS EXTREME features Frank Zappa with five incredibly talented band members for this extravaganza of live music. The line-up exists of Frank Zappa — guitar, percussion, vocals; George Duke — keyboards, finger cymbals, tambourine, vocals; Napoleon Murphy Brock — sax, vocals; Ruth Underwood — percussion; Tom Fowler — bass; Chester Thompson — drums. The Program, as edited and thoroughly tweezed & produced by Frank Zappa for Honker Home Video includes these delights: The Dog Breath Variations / Uncle Meat, Montana, Florentine Pogen, Stink-Foot, Pygmy Twylyte, Room Service, Inca Roads, Oh No, Son Of Orange County, More Trouble Every Day, A Token Of My Extreme. Because Token has never been commercially released until now, it is one of the most sought after Frank Zappa programs. New York, NY (April 16, 2013)—Eagle Rock Entertainment has announced details of the release on DVD and Blu-ray of The Rolling Stones’ Crossfire Hurricane [Pre-book Order Date April 26, MSRP $14.98 DVD, $19.98 Blu-ray]. Available on May 21, 2013, Crossfire Hurricane is the kaleidoscopic new film that documents the key periods of the Rolling Stones’ career and their incredible journey. Crossfire Hurricane received its worldwide premiere at the London Film Festival in October, where Mick Jagger, Keith Richards, Charlie Watts and Ronnie Wood all hit the red carpet to the delight of fans and media from all around the world. The film received a similar premiere in the U.S. the following month, hosted by HBO at the Ziegfeld Theatre. 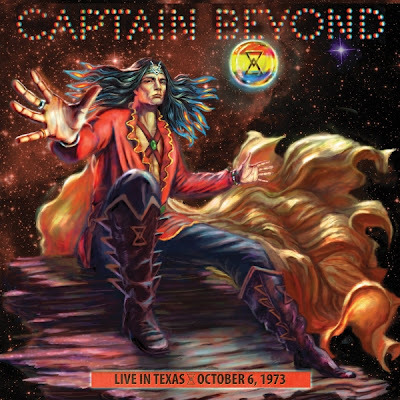 Los Angeles, CA - Purple Pyramid Records will be releasing a vintage live recording of legendary classic rock band Captain Beyond 'Live in Texas October 6, 1973' on May 21, 2013 on CD & Double-LP. One of the most underrated classic rock bands of the early 1970's, Captain Beyond were considered a 'supergroup' of sorts at the time and featured original Deep Purple lead vocalist Rod Evans, former Iron Butterfly guitarist Larry 'Rhino' Reinhardt and bassist Lee Dorman, and ex-Johnny Winter drummer Bobby Caldwell. Although the band only lasted three critically acclaimed albums and several tours of the US and Europe, the band's following is as strong today as it was back in their heyday! Now with the release of this rare sought after concert recording on CD and vinyl for the first time, fans can relive the magic that was Captain Beyond in concert! Recorded just after the release of the group's second album 'Sufficiently Breathless', Captain Beyond 'Live In Texas' captured the band while on tour with King Crimson. And, speaking of new releases, have you played Ronnie Allen's brand new, highly-addictive "Snippets" Game yet? Kind of a "name that tune" for oldies fans, we were one of the lucky ones who got to help Ronnie beta-test his new site ... and this one's a whole lotta fun. I am very pleased to announce that my single-player multiple-choice song clip game called "Snippets On Demand!" is now officially up on the "Jersey Girls Sing" website. The object of the game is to identify well-known oldies by hearing small portions of them ("snippets") and to do so in as short a time as possible. Please share this information with your readers. This FAQ page contains a detailed explanation of the game. There are more than 8500 snippets. There are 24 categories of pop and country music. The music range is 1940 through 1979 for pop and 1944 through 1989 for country. (80s pop will be added shortly). Your time for guessing each snippet as well as your average guessing time per snippet to that point are both displayed following each snippet. Both the correct title and artist are displayed after each snippet. Following the game you get an onscreen report card (which you can print) telling your final right-wrong score, overall average guess time per snippet and a detail line for each snippet showing if you were right or wrong, the guess time (which is always the maximum snippet length for a wrong guess) and the correct title and artist of that snippet. The detail lines are color-coded: green for right and red for wrong. You can optionally experience an instant replay (audio and video) of the game you just played. To play the game, please visit the Jersey Girls Sing home page (link is below) and click on the prominent "Snippets On Demand" banner at the top of the screen. I hope that everyone who plays the game will consider emailing about their experience and will be most appreciative of suggestions for future enhancements.